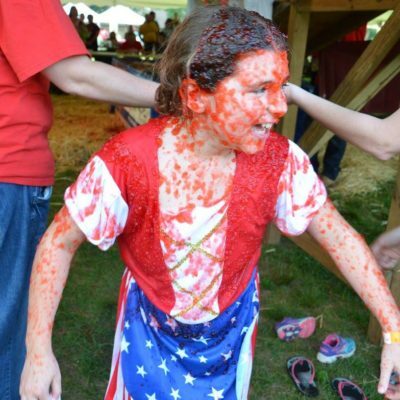 It comes with great excitement and gratitude to announce the Kids-N-Hope Foundation has raised $130,000 in 2016! 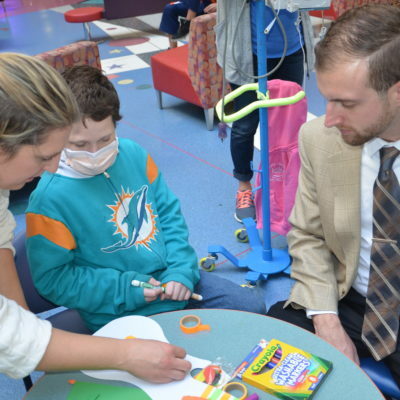 With our partnership with American Heritage Credit Union, a donation of $130,000 was made to the Children’s Hospital of Philadelphia because of our 2016 fundraising efforts. 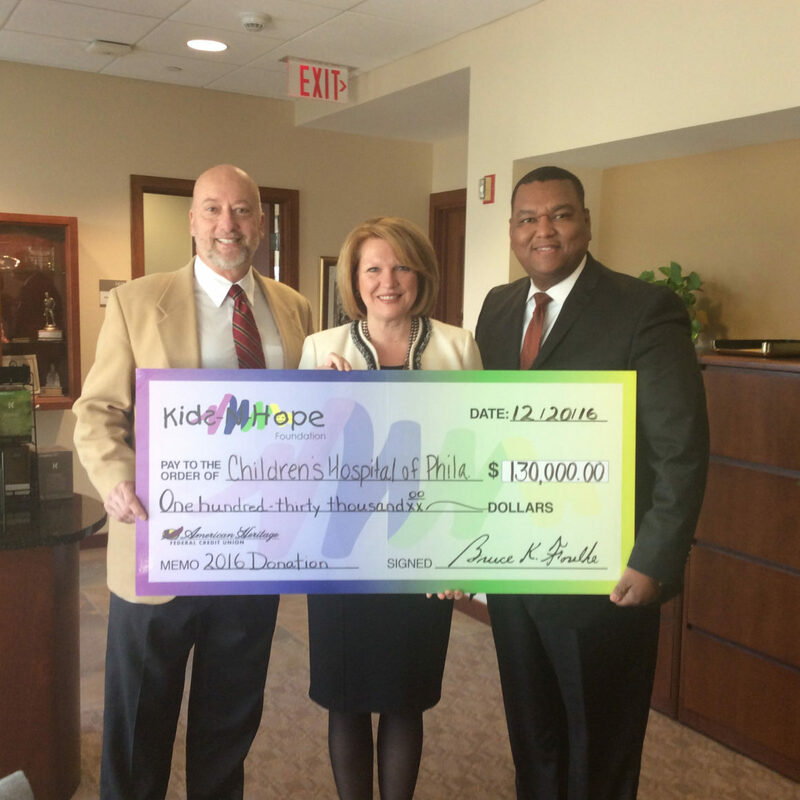 On December 20, 2016, American Heritage’s President/CEO and Founding Member of our Foundation, Bruce Foulke, and Vice President of Business Development, Dorian Smith, presented a check to President/CEO of the Children’s Hospital of Philadelphia, Madeline Bell. The $130,000 donation will help continue our on-going support of the hospital’s Music Therapy Program. 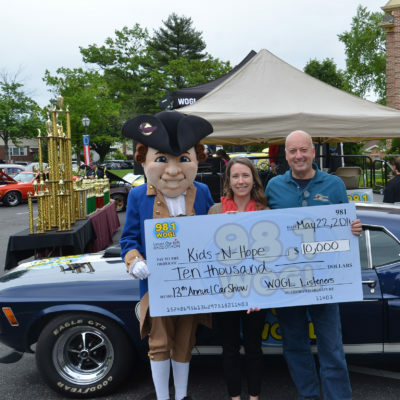 Since the beginning in 1996, American Heritage and the Kids-N-Hope Foundation has raised over $1,230,000 for the Children’s Hospital of Philadelphia. Through the support of the foundation, the hospital can offer a Music Therapy Program to the patients and has allowed the hospital to purchase musical equipment, provide a music therapist and bring in musical performers specially trained in assisting children with developmental disabilities. A huge “thank you” to American Heritage, it’s employees, all Kids-N-Hope volunteers, and donors for an incredible year. We have some things stored up for 2017 and can’t wait to share them with you!